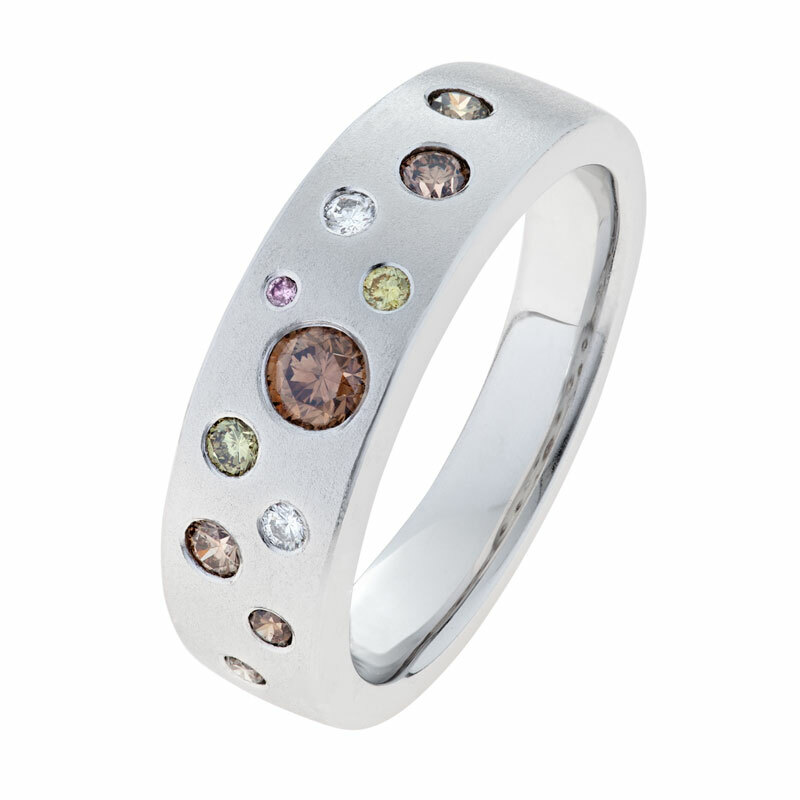 This ring tells the story of all the beautiful colours Kimberley diamonds have to offer. Pink, yellow, champagne, green and white diamonds are sprinkled across a matte finish gold, inspired by the natural fall of raindrops at the beginning of a much loved downpour. “Amarina” means “rain” in local aboriginal language and is the inspiration behind this striking and versatile design.